This was not planned earlier but situation made me to build this. I did not used my car for few weeks, may be more than a month. Few days back, when I tried to start my car it did not started. Not even dashboard lights are coming up. So, I am sure battery discharged completely. Tried couple of times with manual push but no luck. I can call service center to get battery charged again, but wanted to try myself as any way battery warranty is over and lead acid battery charging is not as complex as Li-Ion batteries and in fact I am a fan of DIY. 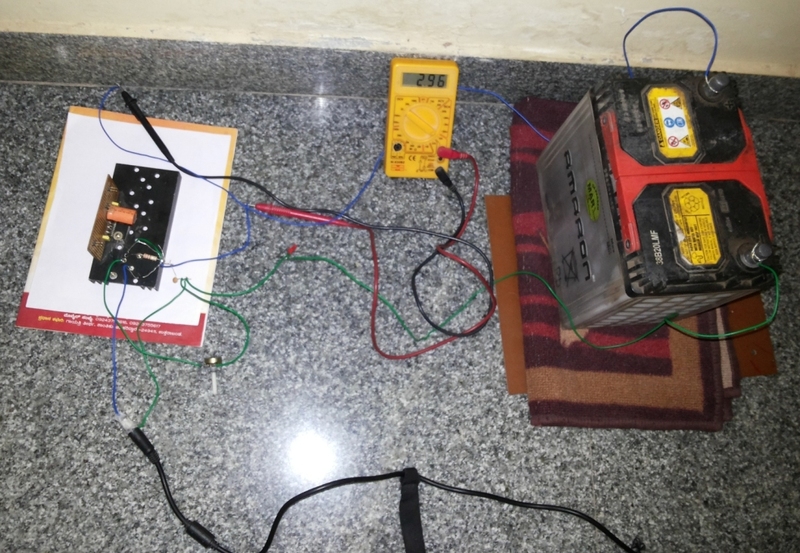 Initial Plan Initially planned to use computer power supply(SMPS) as power source, which is very old(you can observe date sticker on it) and I was using it for my audio amplifier. 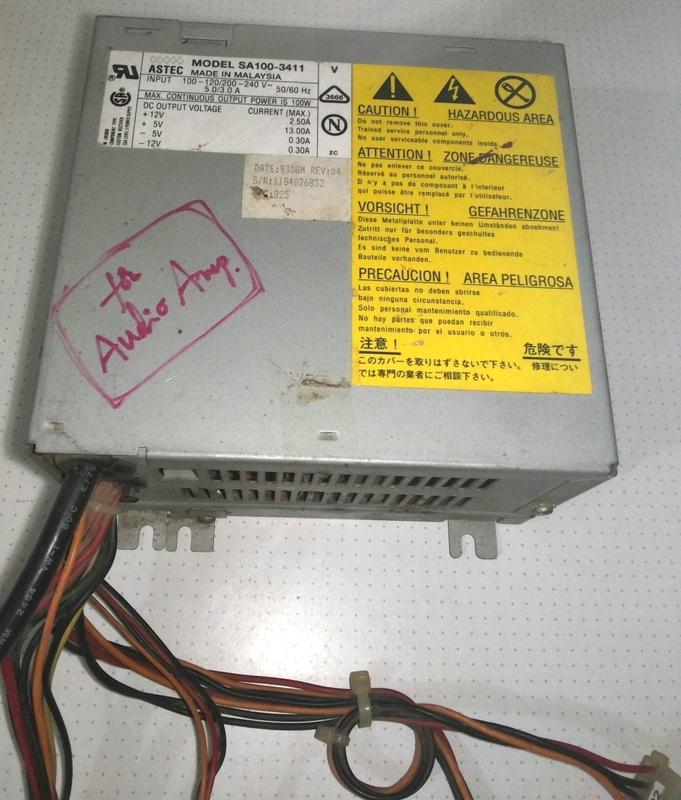 It has stable 12v and it can deliver around 2.5amps. But, when the battery is connected it dropped below 12v. Even though this drop will not be a problem for a computer but for 12v battery its not good for charging. Also with in 10minutes the current transfer dropped to 0.2A, which is much lesser than C/10(which is the required charging current at-least). So decided to drop this plan and was searching for another power source. Then thought about my laptop computer charger. It has 19.5v output and can deliver 4+amp. But 19.5 is too high for 12v battery. 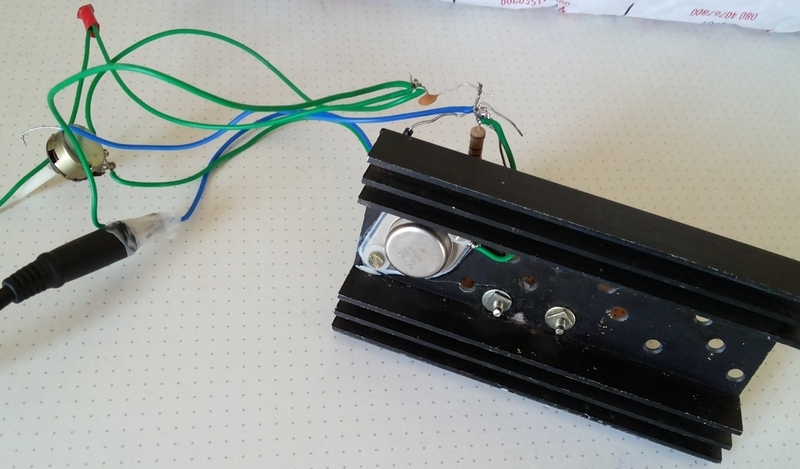 So thought of using diodes as voltage dropper as it is simple. But I do not have high current diodes ready in hand. So need to get an another alternative. Finally decided to use voltage regulator to drop voltage to get 13v to 14v, which is good for charging. Final Plan I have LM350K that is laying around which I bought for an another project but did not used in that. So why not use it as it is perfect as high current regulator. The circuit I used is a standard regulator circuit recommended in IC datasheet. As it is very simple circuit I could solder directly onto power regulator without using any PCB. 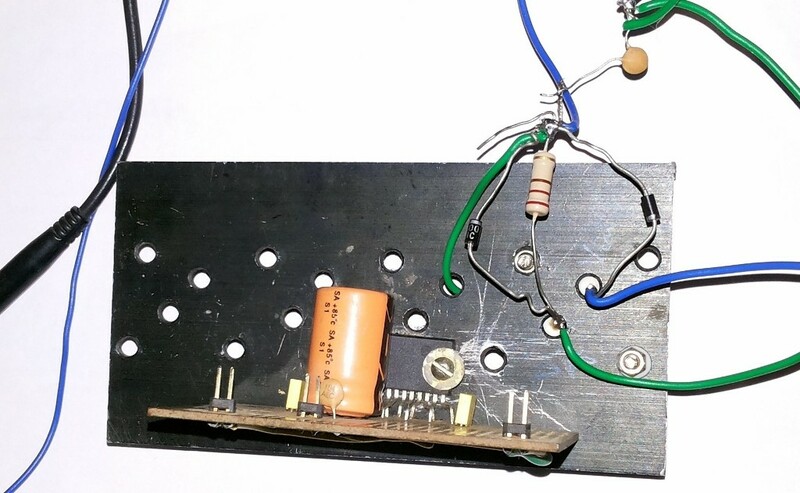 I used heat sink from my audio amplifier circuit as it is in rest now. (NOTE: The big Orange capacitor and its associated PCB is my audio amplifier, which is nothing related to this charger) Adjusted output voltage to around 13v and connected to battery, Hurray, It could deliver 3amps! See the meter reading in the below picture. 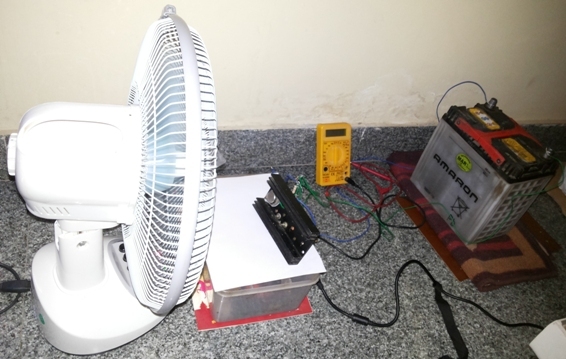 As power regulator is getting hot even with heat-sink, chosen the direct air cooling method with a simple fan. After cooling fan everything running cool. I observed charging current for few hours and looks fine. Left in charging mode over night. By morning charging flow current dropped to 0.2amp. So, I assumed battery charged. Removed charger and measured battery voltage and is 12+v, perfect. Its time to test! Connected battery to car and turned ignition. Guess what! Yes, it worked, car started. I drove for some time so that battery will be charged by car’s charging unit for proper voltage and current if it at all is required. Please see here for more/high-resolution pictures.